“Embrace Change Today” is where you find motivation to change, join us on Facebook today. Are you on Facebook and looking for something positive? 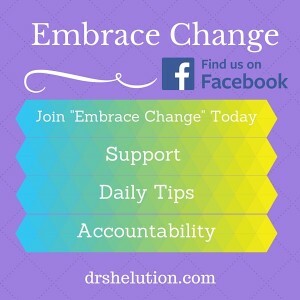 Join “Embrace Change Today”. If nothing change, then nothing change. Each day on “Embrace Change Today” we give you something simple to change. If you like it make it a habit, if not, it’s just one day. We provide support, daily tips and accountability. Embrace Change Today is interactive: ask questions, make posts and leave comments. Share with the group what you changed today. Did we say it was free. No charge. Just sharing love.